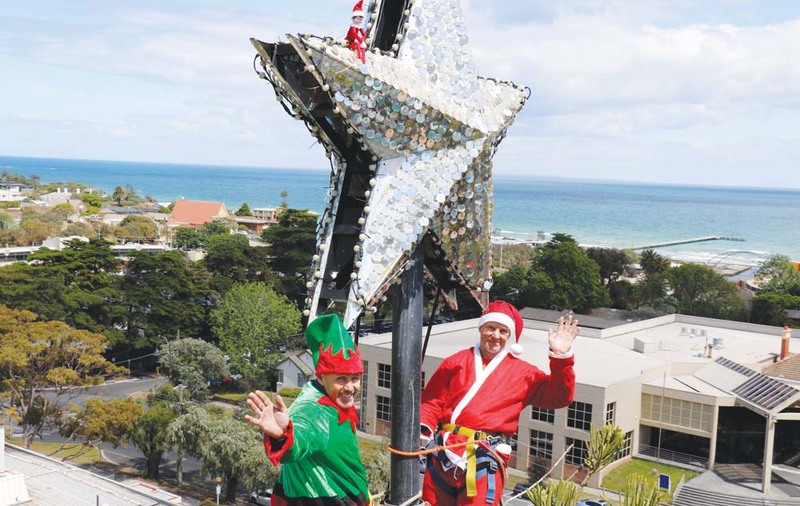 THE giant Christmas tree has made its way out of storage once again, as work gets underway to erect it as part of Frankston’s Christmas Festival of Lights . Tony Hansen has been rigging the lights for the festival for nearly two decades, and has recently had a change of uniform to help get into the Christmas spirit. “My assistant dresses as an elf. We get into the spirit of Christmas and make it an enjoyable occasion for onlookers. I love seeing the kids smiling faces at the school next door while they shout at me how good they’ve been this year. Mr Hansen was first asked to work on the lighting in the year 2000. 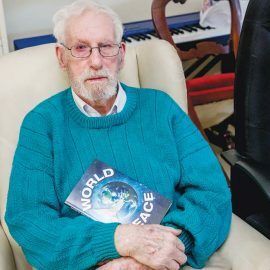 “Mr Wrigley, the electrician, asked for our assistance with the light installation, and 18 years later it’s the job I most look forward to every year,” he said. The tree will be lit at the festival, which will take place from 5pm on 24 November. The event will take place on Davey Street, and entry will be free.